Savremena International School is proud to offer its students free and unlimited access to the first online educational television in the region - LINKeduTV. Since both our school and the aforementioned service fall under LINK group’s vast educational framework, our students can follow all of the content posted on LINKeduTV and improve their skills and competences in a variety of fields. Where can students follow LINKeduTV’s content? 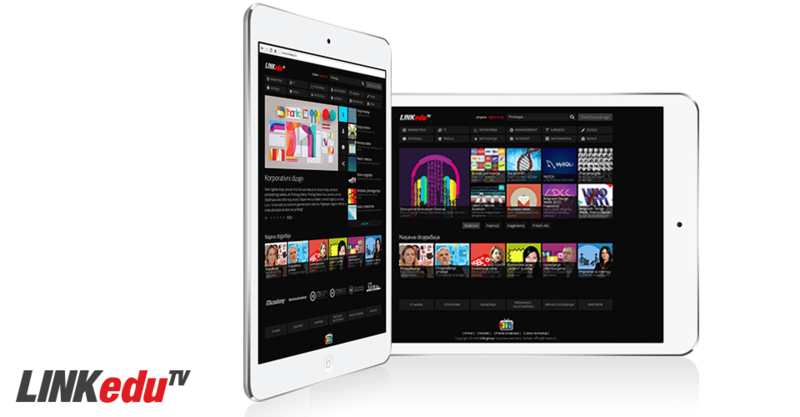 As the first educational TV network in the region – LINKeduTV is one of LINK group’s major projects. The goal of this project is to raise awareness about education, to position the need for education high in the minds of as many people as possible, and, by drawing on the wisdom and experience of some of the most successful individuals help you advance in your education and career. Savremena International School’s students are given the opportunity to view this content completely free of charge and use it for their studies, research projects, or simply to satisfy their academic curiosity. LINKeduTV comes with a separate TV channel for each subject, with a wealth of interesting and useful materials and a large number of users. This is an online TV network whose content is predominantly dedicated to education - both formal and non-formal, along with the latest trends in education as well as advice from eminent experts on how to improve and become more successful, all with the emphasis on lifelong learning. The main categories of LINKeduTV include: science and education, culture, management, IT, business, economics, career, marketing, design, etc.